OSWEGO, NY – The Dave London Memorial XII has landed a presenting sponsor ahead of the New York Super Stock Series event which will be held on Friday, August 30 of Bud Classic Weekend at the Oswego Speedway. Midstate Basement Authorities, Central New York’s trusted full service basement waterproofing and foundation repair contractor, will present the 50-lap event that marks the return of Super Stocks to the speedway for the first time in three seasons. With experience dating back to the early 80’s in services that include basement waterproofing, water control systems, crawl space encapsulation, foundation and structural repair, dehumidification, concrete levelling, sump pump systems, shotcrete installation and more, Midstate Basement Authorities is one of the most experienced, well-known basement and waterproofing contractors in the area. Associate sponsors are also beginning to sign on for the event which so far include CR1 Contracting and Ken Tibbles Roofing. 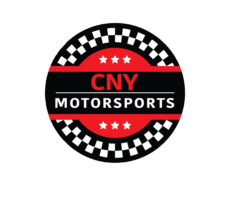 Continued updates can be found by following NY SuperStocks on Facebook. Fans are reminded that Dave London Memorial lap, bonus and position sponsors are open as well for $20 a lap, $100 for a position sponsor, or $200 for a bonus sponsor. Last year’s event exceeded over $13,000 in total bonuses for drivers. To purchase tickets for Bud Classic Weekend including Dave London Memorial XII on Friday, August 30, phone the speedway box office at (315)-342-0646 or send an email to oswegospeedway@gmail.com. Fans have until May 1 to renew tickets from last year’s event.